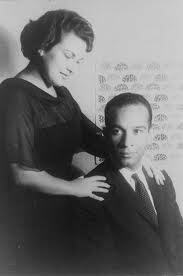 As promised in a previous blog I am here continuing a little personal survey of recordings of music by black classical composers in honor of Black History Month. I suppose it is worth adding that I pursue these recordings because they present interesting and exciting repertoire that has not gotten the circulation it deserves. Sadly this is most likely the result of the failure of producers, performers audiences and investors to look at the value of the art itself, looking instead through the lens of racial prejudice. I hope that readers of these blogs will avail themselves of this music, these performers, these recordings and maybe come to realize that those old prejudices serve only to limit one’s world view and prevent a rewarding artistic experience. Art, like people, must come to be valued by its own merits, not limited on the basis of skin color. MLK definitely phrased that more elegantly. And further proof of such valuable art can be found in a series of recordings on the Chicago-based label Cedille. In fact their website cedillerecords.org contains a link to the six albums of music by black composers they have thus far issued. 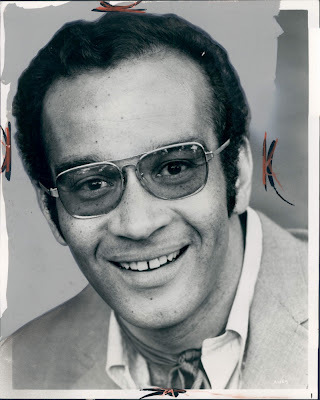 Building on the work he had begun with the Black Composers series for Columbia in the 1970s conductor Paul Freeman released three CDs in the Cedille series called ‘African Heritage Symphonic Series’. 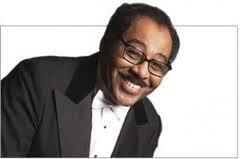 With the orchestra he founded Freeman presents music by Samuel Coleridge-Taylor, Fela Sowande, William Grant Still, Ulysses Kay, George Walker, Roque Cordero, Adolphus Hailstork, Hale Smith, David Abel’s, David Baker, William Banfield and Coleridge-Taylor Perkinson. 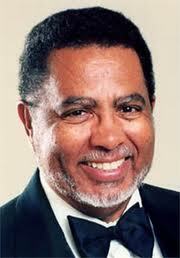 Freeman released a CD dedicated exclusively to the music of Coleridge-Taylor Perkinson as well. Violinist Rachel Barton-Pine released a disc of violin concertos by 18th and19th century black composers on Cedille and there is a disc of choral music which includes music by black composers. Let’s turn now to the Albany www.albanyrecords.com label where you can find more of the artistry of Paul Freeman in 18 albums where he presents neglected music of the 20th century by a wide variety of composers black and white. Most of it is by American composers and much of that in styles related to the mid-century styles of the likes of William Schuman, Aaron Copland and their students. While these discs include music by many of the previously mentioned black composers there are no duplications of works or performances. I have heard but a few of these discs but what I have heard is enough to convince me to plan to purchase the others. Freeman, in addition to bringing the music of black composers to the listening audience has done a fine job of documenting many whose work has been little heard until now. Another composer who fits more or less into the context of the conventions of the western concert traditions whose work has informed my listening is that of Anthony Davis (1951- ). While he has played with musicians from more experimental traditions the influence of the western concert traditions is more easily heard. His study of jazz as well as western classical and eastern gamelan are all evident in his work (though not necessarily all at the same time). The New York City Opera produced his, ‘X, the Life and Times of Malcolm X’ in 1986 and the Lyric Opera of Chicago produced ‘Amistad’ in 1997. 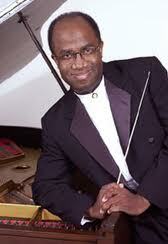 He has written concertos for piano and for violin as well as music for orchestra and smaller ensembles. 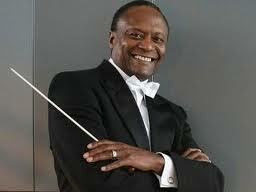 At the time of this writing he is professor of music at the University of California San Diego. To these ends there is no better place to start than with the AACM, the American Association of Creative Musicians. 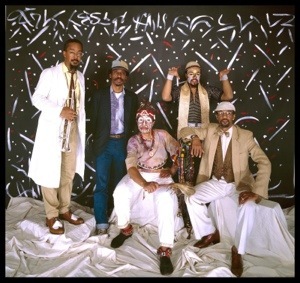 Founded in Chicago in 1965 this collective has strived to bring various elements of black culture in an incredibly eclectic and experimental milieu which has had and continues to have an influence on music, musicians and audiences. This collective was finally given a proper overview in George Lewis’ book, ‘A Power Stronger Than Itself’. 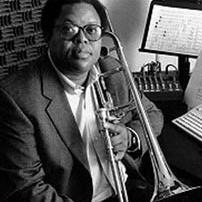 Lewis, a trombonist, composer and currently professor of music at Columbia University in New York was a member of the AACM. The AACM was not the only such collective but it was one of the most visible, at least to me. And it continues to develop and evolve bringing the complex and innovative musical ideas evolving from the black roots of jazz to a level of recognition and respect formerly accorded pretty much exclusively to European academic models. The AACM, dubbed “Great Black Music” also strives to retain the identity of black music by black peoples of the world looking to non-western models that predate European colonialism marrying them to the best of European models as absorbed by the diaspora. Many of their members now hold academic positions including Roscoe Mitchell, Anthony Braxton, Wadada Leo Smith and Nicole Mitchell. Perhaps the best known ensemble to come out of the AACM is the flexibly-membered Art Ensemble of Chicago. Their album ‘Third Decade’ released in 1984 is representative of their work and also marks a sort of end to one creative era for this flexibly-membered group. Most listeners will hear this as progressive jazz and it certainly has those elements. But repeated listenings reveal many layers to this work. And this is but one of a large catalog of albums as diverse as they are numerous (about 50 albums and still counting). More on their work at their website www.artensembleofchicago.com. 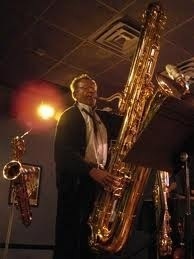 Another prominent figure that was a member of AACM is Anthony Braxton, saxophonist, composer, chess master who dislikes the term ‘jazz’ in reference to his music. 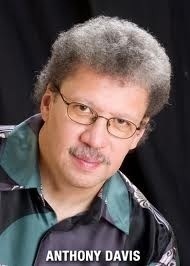 He is currently professor of music at Wesleyan University. And indeed his music which ranges from solo saxophone work to small ensemble and orchestral music and opera are difficult to classify. His experimentalism is related to but not derivative of the work of John Cage. It would be impossible to represent his musical output in a single album but the solo saxophone ‘For Alto’ (1968) and ‘Creative Orchestra Music’ (1976) are good places to start in his discography of well over 100 albums. His website tricentricfoundatio.org offers many of his recordings for sale and even offers free downloads of bootleg recordings. 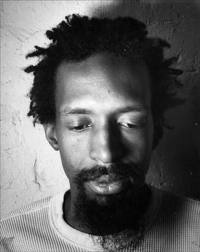 For the sake of brevity I will discuss only one more artist in this blog entry, Julius Eastman (1940-1990). 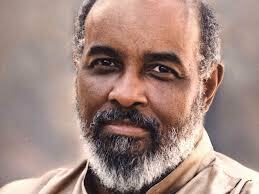 He was a composer, vocalist, pianist and dancer. As a vocalist he sang and recorded the music of Meredith Monk, Peter Gordon, Morton Feldman, Arthur Russell and Peter Maxwell-Davies. He was very much a part of the avant garde downtown scene in New York of the 1970s. At the time of his sad death from a heart attack at the age of 49 there were but a few recordings of his work (collected in a nice 3 CD set on the New World label). And many of his scores were lost when he was unceremoniously evicted from his apartment. The composer Mary Jane Leach is attempting to collect and preserve his legacy and has made many of his extant scores on her website http://www.mjleach.com/eastman.htm. Without a doubt there are many more black classical and avant-garde artists I have yet to discover. I welcome suggestions and I hope that the preceding ideas will stimulate and encourage others to explore these artists and works. For my third installment I have chosen to highlight that series of recordings by conductor Paul Freeman of music by black composers which I mentioned in a previous blog. In 1974 Columbia Records issued 9 LPs (originally it was to be 12) over the next few years in a series called, ‘Music by Black Composers’. The music was chosen largely by Paul Freeman who also wrote the liner notes and conducted the performances. 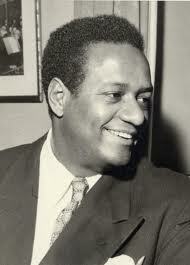 He was assisted by musicologist Dominique-Rene de Lerma who contributed his knowledge of pre 20th century black music and also edited some of the pieces for performance. 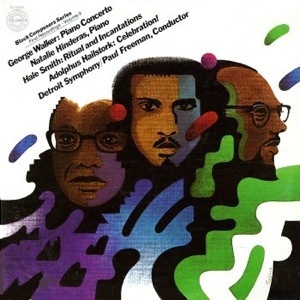 This set of records was featured by my local radio station (WFMT in Chicago) at the time of its release and opened my listening mind to to this cornucopia of fascinating classical concert music by black composers. The series was so titled in part because it included music from many countries and also because it was released before the term ‘African American’ became Le mot juste (but that is another story). The series was apparently recorded and released 1974-78 and re-released in 1986 as a set under the Columbia Special Products label. Historically it was an important set of releases much like the series curated by David Behrman called ‘Music of Our Time’ which featured some truly cutting edge music by composers writing in the sixties and seventies. To be sure the black composer series was not cutting edge modernism like that series but gains its cutting edge from collecting in one set music from the 18th to the mid-20th century by a set of composers who, other than having been trained in the discipline of music performance and composition, held in common only a skin color darker than ‘white’. Billboard announced the plan to issue these records in 1973 saying that they were the fruit of a collaboration between the Irwin-Sweeney Miller Foundation of Columbus, Indiana and, with the encouragement of Dominique-Rene de Lerma, the school of music at Indiana University in Bloomington. 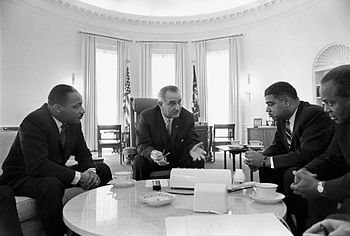 Citing “campus politics” professor de Lerma reported that Indiana had lost interest so he phoned Paul Freeman (conductor with the Detroit Symphony at the time) and advised him to contact the ‘Afro-American Music Opportunities Association’ whose support then helped launch this series. The original plan was to release four albums per year for at least three years but a great beginning soon slowed and the 9th album (pictured above) was the final release in the series. 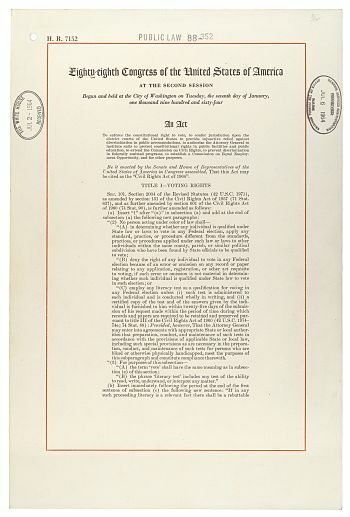 Coming twenty some years after the voting rights act of 1965 it retained the some cachet of the civil rights movement and likely was produced at that time in the hopes that this might help sell the albums to consumers. I don’t know who ultimately bought these albums or what their total sales were but I know that some visionary producers at WFMT piqued my interest and that I bought many of these records and listened with interest when they were scheduled to play (I religiously perused the monthly program guide). The original releases went out of print in a few years. There was a CD set (currently out of print) compiled by the Columbia University (Chicago) Center for Research in Black Music funded by the Ford Foundation that released a selection of the Detroit Symphony performances (now a pricey collector’s item) from that set as well as a reissue of the complete set on vinyl records with the original cover art and program notes which remains, I am happy to report, available by mail from the College Music Society in Missoula, Montana www.music.org. William Grant Still: Afro-American symphony. 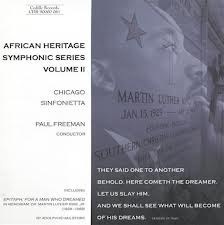 Later Freeman began a series on Chicago-based Cedille records that released three further volumes of black composers’ music with his wonderful Chicago Sinfonietta as well as several CDs dedicated entirely to single black composers (more about those and more in another post). Perhaps an innovative label such as Naxos might some day bring these Columbia recordings back into circulation in their entirety in the CD format. Meanwhile I am pretty happy with my LPs with their copious notes and full-sized beautiful graphics. If you haven’t heard this set I would encourage you to avail yourself of some of this beautiful music.